We Were Promised Jetpacks - Hanging In. 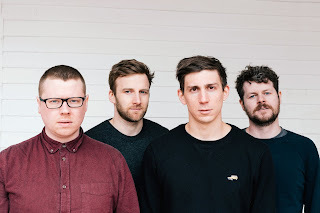 Background - Scottish rock mainstays We Were Promised Jetpacks have shared emotionally wrought new single ‘Hanging In’ and announced a brand new album, their first in four years, to be released on 14th September via Big Scary Monsters. The band will also embark upon an enormous tour in the UK, EU and US throughout September, October and November. The More I Sleep The Less I Dream marks a new chapter in We Were Promised Jetpacks’ career. It’s about going back to the heart of who they are, a high school band that never stopped. It’s about four people who have grown up together, making a conscious choice to keep writing music and seeing where that takes them. 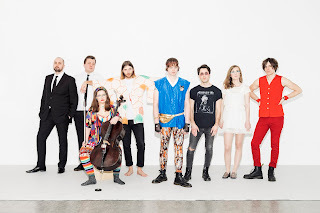 The musicians connected with producer Jonathan Low (The National, Sufjan Stevens, Kurt Vile, The War on Drugs) and were inspired by his approach to their vision and his grounded style. After making their prior albums in England, Scotland and Iceland, it felt like a good opportunity to try crafting songs in the U.S. The album was recorded over the course of five weeks at Minor Street in Philadelphia and Long Pond in New York’s Hudson Valley in early 2018. First emerging a group of 20-year-olds in 2009, with their exciting debut These Four Walls, the four members went on to release two further widely lauded albums throughout their ‘20s, 2011’s In the Pit of the Stomachand 2014’s Unravelling. Each band member turned 30 during the making of new album The More I Sleep, The Less I Dream, and felt like vastly different people to the four 20-year-olds that they were when they first started releasing music. Having spent ten years almost consistently writing and touring, it was time to decamp home to Scotland and take a breath. They reverted back to their original four members and dealt with several behind the scenes changes. They celebrated a few marriages and tried to remember who they were when not on the road. A decision was made. No more touring until a new album had been written. WEBSITE. We Were Promised Jetpacks have all the hallmarks of a band who can instinctively produce natural and passionate rock music. 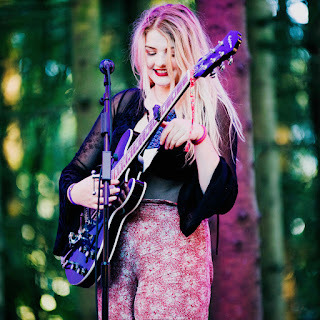 'Hanging In' is a very fine song, the vocals are fabulously Scottish, the band relaxed and in full control, and the music is jam packed with exquisite rock and roll hooks. Haiku Salut - The More And Moreness. Background - Following the announcement of their forthcoming album There Is No Elsewhere via PRAH Recordings on 7 September, Haiku Salut share the second single "The More and Moreness". The track sees the Derbyshire trio working again with Glastonbury Brass, with an ambitious interweaving of electronic and organic, natural and unnatural with the triumphant warmth of a brass band in full flow. 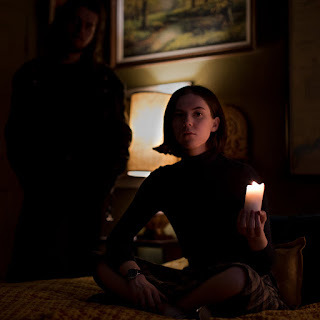 The video was shot by their friend and collaborator, fellow Derby-based artist Grawl!x (aka James Machin), and sees them go on a covert mission in the local countryside. 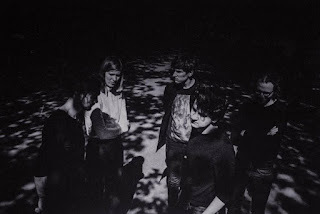 Sophie Barkerwood from the band explains more about the track and video: "The More and Moreness" started life as the soundtrack for an ice-cream van on the North-West coast. We were asked to write something illuminating for a travelling art exhibit and the bones of this song are it. It used to have a whole different twinkly introduction. A dead music box, in a dreary seaside town, coming back to life. The end section with the accordion loops and the brass band were written very quickly, I barely remember how that came together. One day it wasn’t there and then it was, in all its moreness. In January 2017 we travelled to Somerset to record the brass sections with Glastonbury Brass, they were amazing to work with. Brass band in winter, a feeling I can’t quite place, belonging or pride? We went for a drink with a few of them afterwards and it was warming to hear about their community. We wanted to continue the sense of belonging and solidarity in the video and decided to work with with our longtime friend and collaborator James Machin from Grawl!x. The video is an inky dark noir, we play a group of revolutionaries working together to bring an explosive change to the World. Much like the brass band, the revolution is bigger than the sum of its parts. Video director, James Machin (Grawl!x), said; “The premise came from a short film I wrote a few years ago. We then combined that with the idea of Haiku as a band of revolutionaries, which I thought was quite a striking image. Mainly, the theme relates to the album in that it's about community resisting oppressive bullies.” WEBSITE. The musical arrangement and production of 'The More And Moreness' is of a very high quality, allowing the imagination and creativity that has gone into this piece to come through in a stunning manner. The video adds even more, telling a silent story, and collectively we have a beautiful and thought provoking piece of music. 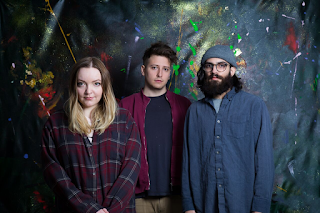 Blending 90s-infused indie rock with fuzzy dreamy pop and poignant, yearning lyrics, Basement Revolver have honed a sound that is capable of stripping listeners of inhibition, yet heavy hitting enough to leave a lasting impression. Unable to disguise the emotion in her voice, songwriter Chrisy Hurn shares intimate stories and personal wounds from her past. The band is rounded out by Nimal Agalawatte on bass and Brandon Munro on drums. Their ascent to the spotlight has been a steady trajectory, capitalising on the success of their debut single “Johnny” in 2016. The track garnered endorsements from DIY Magazine and Exclaim! as well as respected tastemakers Gold Flake Paint, who hailed it a “favourite song of the year” contender. They were signed by Memphis Industries’ UK sub-label Fear Of Missing Out, who released their debut self-titled EP in 2016. 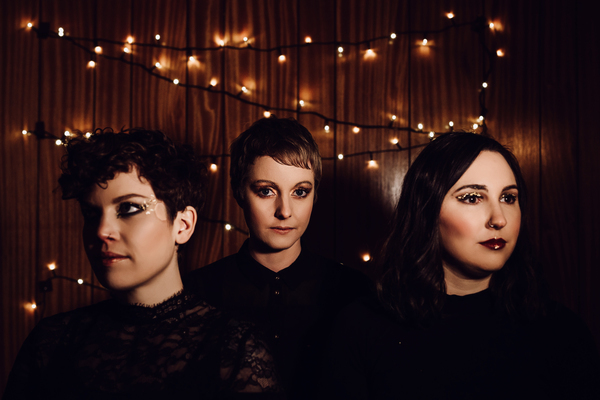 They followed this up with the Agatha EP in 2017 where the single “Bread & Wine” reached the B-list on Radio BBC 6 Music and also garnered support from John Kennedy at Radio X. The band have racked up over one million plays on Spotify across the two EPs. To record their debut full-length, the band returned to local studio TAPE where they had recorded both their EPs. They had build up a solid relationship with producers Adam Bentley and Jordan Mitchell, as they continued to hone their signature sound. In this comfortable environment, they found the freedom to get heavier for some songs and more laid-back for others. As Chrisy explains; “It also gave me the confidence as a writer to not take myself so seriously, to let myself get cheesy or goofy with some songs.” TWITTER. 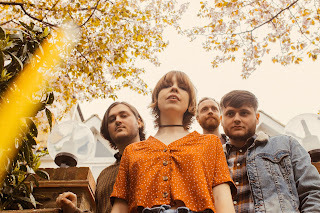 Just a month to the day since we featured 'Knocking' Basement Revolver have introduced their new single 'Dancing' much to Beehive Candy's delight. I have checked, and yes this is feature number eight for them, but far from any kind of obsession for this band, it really is a simple case of their music resonating on so many levels and our ability to share it, that keeps them surfacing here.